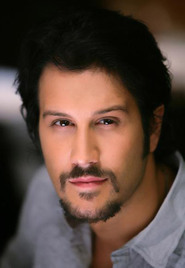 Stefan KapiÄiÄ is a Serbian actor. He is son of actress Slobodanka Å½ugiÄ. Recipient of an Award for Best Debutant, at 38th Nis Film Festival, Festival of Actors' Achievements in Fiction Films, 2003, for his first movie role in a feature "Almost Ordinary Story" by director Milos PetriÄiÄ. He is a son of a ex-Yugoslavian basketball legend, World and European champion Dragan KapiÄiÄ.